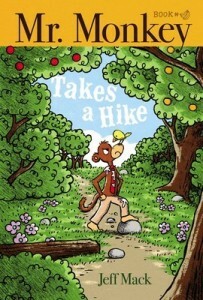 Curious George meets Mr. Bean in the third adorable picture book from author-illustrator Jeff Mack that follows the loveable Mr. Monkey on his wacky adventures. Mr. Monkey loves playing his video game. He wants to beat the ultimate level! But now he must go outside and find his stolen controller.